Their distinctive appearance is achieved by printing three shades onto a textured metal substate. The result looks natural and is also durable and virtually maintenance free. This is brand new technology and no-one else in your neighbourhood will have it. We have a door set up in our showroom. Come by, during office hours, and have a look. No appointment is necessary. Ultra-Grain® eliminates the ongoing maintenance and staining requirements of real wood doors. They won’t rot, warp, crack or shrink. The paint system carries a Limited Lifetime Warranty. 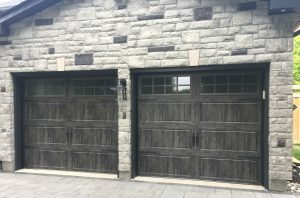 Ultra-Grain® is available on two of Clopay’s most energy-efficient insulated steel garage door models in a variety of styles and colours to fit your home style and budget. 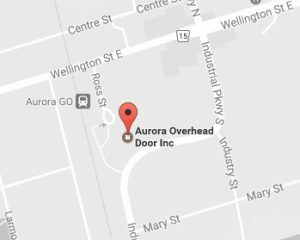 These doors are ideal for Southern Ontario’s harsh weather conditions. With R-values up to 18.4, the doors are built to provide year-round comfort, long-lasting beauty, durability and quiet operation. 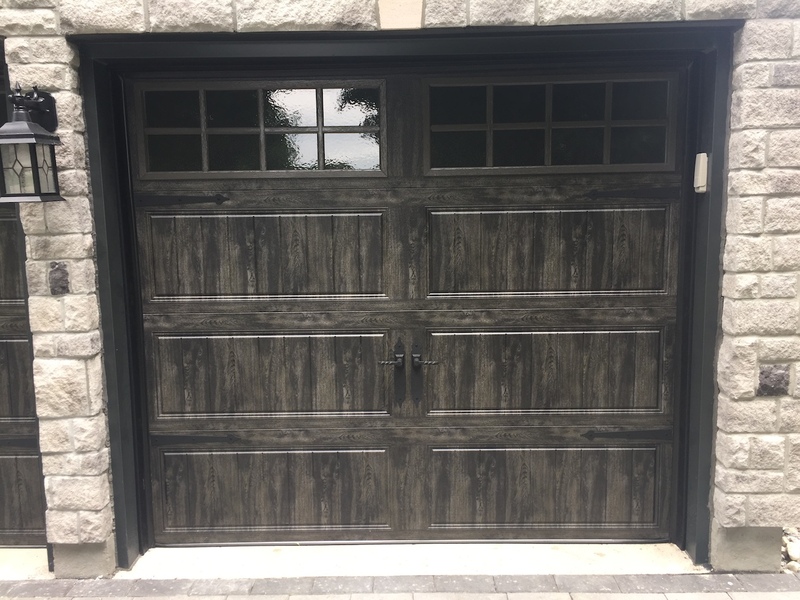 For more details about these and other garage doors please drop by our showroom, give us a call or fill out the contact form.